Leadership for a new Century! “One size fits all” management style just doesn’t work anymore. Managers need new skills for a new century. 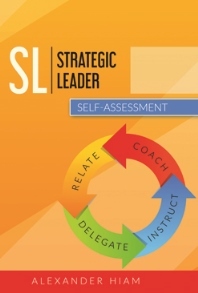 Learn how your managers can become real leaders and improve performance across the board. 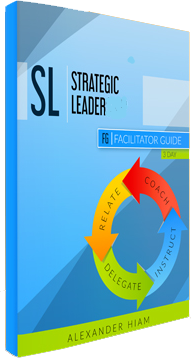 Our newly revamped Strategic Leader will turn your managers from one trick ponies into leaders with a complete repertoire of leadership options.This modular training program is easy to use and enables anyone to quickly teach managers how to become better leaders.Participants take the assessment and conduct exercises to learn their own natural leadership style, learn new leadership styles and learn how to appropriately choose the correct leadership style for any given situation. 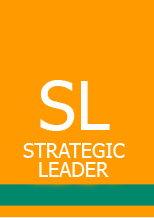 Strategic Leader is a complete leadership solution. The assessment works with the facilitator and participant guides and the video provides realistic video examples to help participants learn more effectively how to identify and apply different management styles.